Originally published on Dec. 29, 2010. 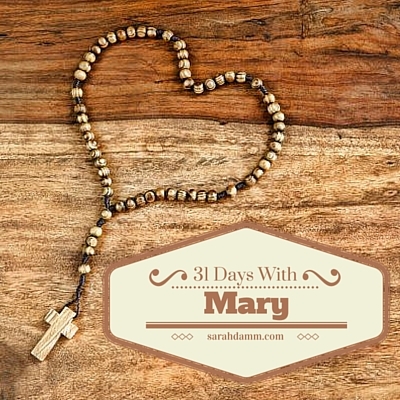 Remembering the story of some special Rosaries on the 17th day of 31 Days With Mary, during this Month of the Rosary. My husband and I attend a silent Ignatian retreat every year (separately, of course). The order of priests and brothers that puts on the retreat has a strong devotion to Our Lady of Sorrows, which has granted them (and all those associated with them) the same merits that a traditional Rosary grants. Part of the retreat’s prayer ritual is reciting the Chaplet of Our Lady of Sorrows in place of the Holy Rosary on Saturday. 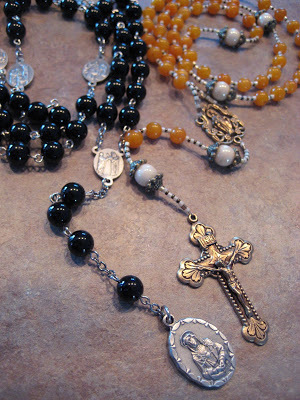 When Greg returned from his fall retreat in 2010, he mentioned that he would like his own Chaplet, so that he could continue praying it on his own. His mentioning was my cue to get him a Chaplet for Christmas. 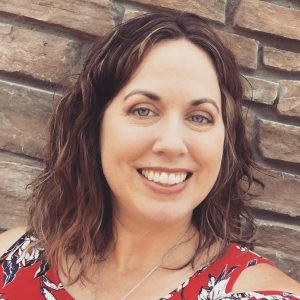 So, I contacted my friend Barbara at Praying for Grace. 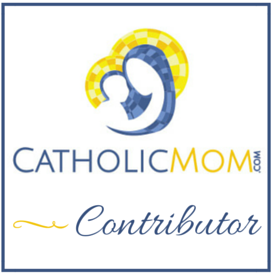 She has an Etsy shop with lovely Rosaries and Chaplets, readily available for purchase. It was difficult to pick out a Chaplet for Greg. I wanted it to be just right. I ended up telling him that I was getting him a Chaplet, just to ask him about some of his preferences: color, material, weight, etc. Of course, I also told him that he had to forget that I just told him one of his Christmas presents! When Barbara e-mailed me to tell me the Chaplet was on its way, she said that the envelope was to be opened by my mom, who lives with our family. For some reason, probably because I was just about to have a baby, I didn’t even think of this as unusual. I had so much else on my mind! So, on Christmas Day, I gave Greg his Chaplet, and I’m sure he forgot all about knowing. Well, at least he acted surprised! And one of the gifts I opened was my beautiful Rosary! I couldn’t believe it! I thought I had asked him too late. And I did, I guess. But my mom had told him about it sooner than I did. So he ordered it before I even mentioned it to him! His and her Rosary beads for Christmas! How wonderful is that? !